Sunday, February 24, 2013 ratings — New episodes: The Amazing Race. Specials: Saturday Night Live in the 2000s: Time and Again (rerun), The Oscars Red Carpet Live!, and 85th Academy Awards. Episode reruns: 60 Minutes, The Mentalist, The Good Wife, The Cleveland Show, The Simpsons, Bob’s Burgers, Family Guy, American Dad, Betty White’s Off Their Rockers, and Dateline. 7pm – The Oscars Red Carpet Live! : (special) 5.0 in the demo with 19.34 million. 7:30pm – The Oscars Red Carpet Live! : (special) 6.7 in the demo with 23.83 million. 8pm – The Oscars Red Carpet Live! : (special) 9.2 in the demo with 31.46 million. 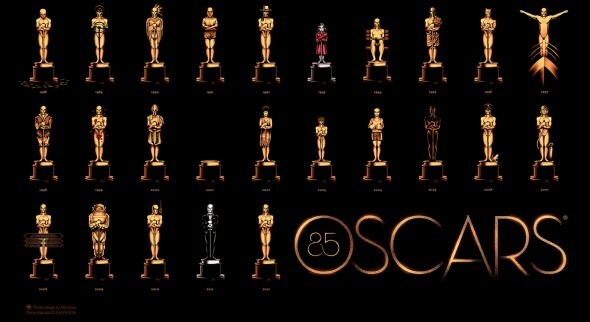 8:30pm – 85th Academy Awards: (special) 12.1 in the demo with 36.97 million. 7pm – 60 Minutes: (rerun) 1.3 in the demo with 8.27 million. 8pm – The Amazing Race: 1.8 in the demo (-25% change) with 6.77 million. 9pm – The Mentalist: (rerun) 0.7 in the demo with 4.44 million. 10pm – The Good Wife: (rerun) 0.6 in the demo with 3.29 million. 7pm – Bob’s Burgers: (rerun) 1.0 in the demo with 2.35 million. 7:30pm – The Cleveland Show: (rerun) 1.1 in the demo with 2.61 million. 8pm – The Simpsons: (rerun) 1.6 in the demo with 3.51 million. 8:30pm – The Cleveland Show: (rerun) 1.4 in the demo with 2.93 million. 9pm – Family Guy: (rerun) 1.5 in the demo with 3.13 million. 9:30pm – American Dad: (rerun) 1.3 in the demo with 2.71 million. 7pm – Dateline: (rerun) 0.8 in the demo with 4.08 million. 8pm – Betty White’s Off Their Rockers: (rerun) 0.8 in the demo with 3.45 million. 8:30pm – Betty White’s Off Their Rockers: (rerun) 0.8 in the demo with 2.97 million. 9pm – Saturday Night Live in the 2000s: Now and Then: (special, rerun) 0.8 in the demo with 1.95 million. What were you watching last night? The Oscars, red carpet coverage, The Amazing Race, reruns, or something else? Personally, I could care less about the Oscars and other award shows. I will watch movies, shows, plays, etc. I like and not what a bunch of egotists say I should like. People like Seth, because his jokes are mean and stupid. That’s pretty much a big aryan douche.